UPDATE: Reports of Jeremy Meeks, an imprisoned felony suspect well-known for his looks, getting a modeling contract are untrue, according to Bullett. A representative from the talent agency working with Meeks told Bullett and later Gawker that Meeks hasn't signed a modeling contract. 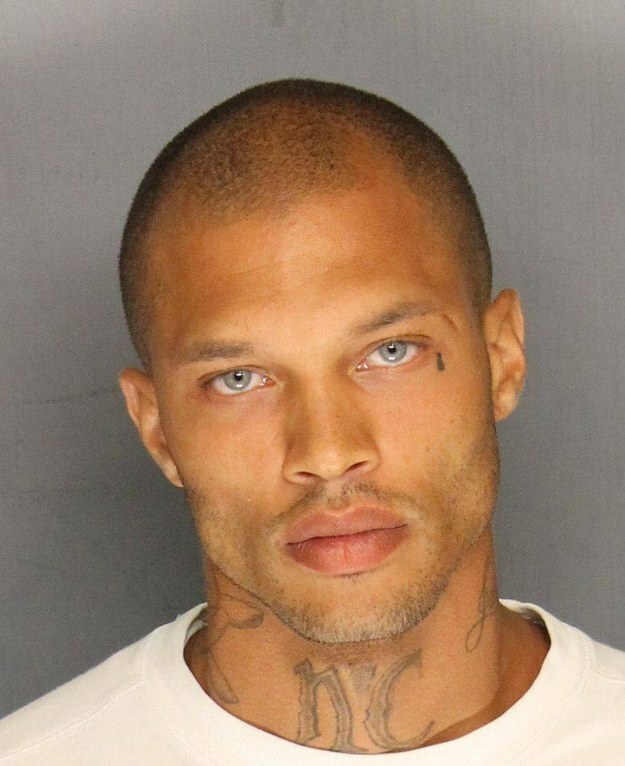 Jeremy Meeks, the "hot convict" who set the Internet aflame with his blue-eyed stare and head cocked just so in a recent mug shot, has taken his fame to the next level. The California con, known to some as "Dreamy McMug," has scored a modeling contract with Blaze Modelz, according to media reports. But before he gets in front a camera not operated by the police, Meeks needs to get out of jail. He is currently being held on $1,050,000 bail after his arrest on seven felony charges, including "street terrorism," and two misdemeanors for resisting arrest and revocation of parole, the San Joaquin County Sheriff's Office says. Meeks, 30, shot to fame last month after the Stockton Police Department posted his booking photo on Facebook. The image has earned 100,000+ likes and counting. Meeks previously did time for grand theft and has had numerous other run-ins with the law. The Los Angeles Times reports that he's a documented member of the Northside Gangster Crips, but his family insists that he's put that connection in his past. His mother writes on a website set up to help raise money for his bail that Meeks has a job and no gang affiliations, but that his old tattoos cause him to be stereotyped. If Meeks ever gets out of jail and is able to cash in on that modeling contract, he may face another problem: The camera hasn't always been so kind to him.